If, like me, you are a complete and utter fragrance nerd the news of a “20% off everything” sale at Escentual is not simply good news, it’s fantastic (and ever so slightly dangerous) news. 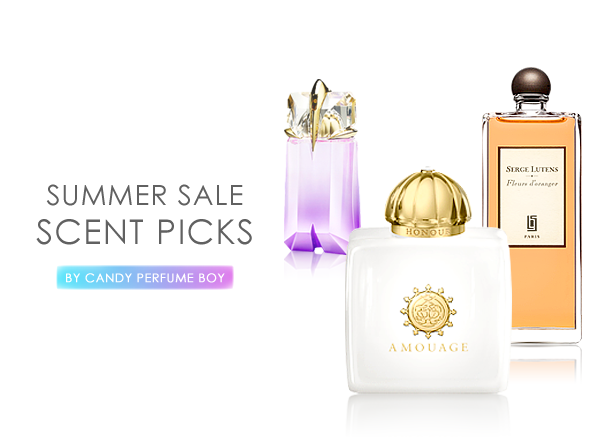 If there’s one thing we perfume lovers adore more than fragrance itself is a bargain and there are bargains a plenty right here on Escentual this month. So what does one go for with so much choice? Is it the right time to splash out on that big-ticket item now that there is no excuse not to? Perhaps it’s the perfect opportunity to stock up on your signature scent or even a cheeky summer bargain – whatever the reason you owe it to yourself to make the most of the sale before it ends on 26th July! A whopping 20% discount is not to be scoffed out especially when said discount can be applied to one of the many resplendent perfumes from Omani house Amouage. The house delights with opulent, luxurious and elegant compositions that really are worth their weight in gold. For summer I’d go for the buxom white floral bouquet of Honour Woman or perhaps the redolent roses of Lyric Woman and Lyric Man. 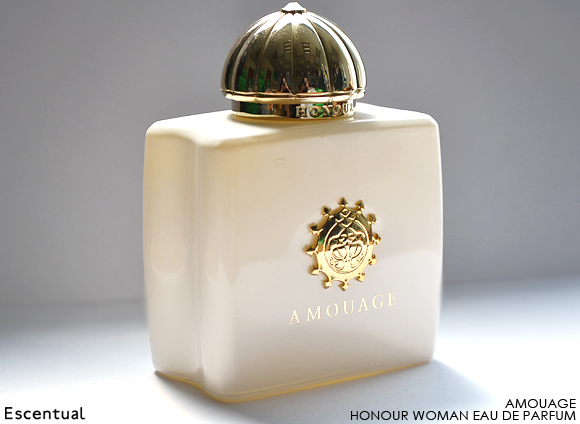 But my top tip for an Amouage bargain, and the one I would personally go for is Epic Woman – a truly phenomenal perfume that is operatic in its style and evokes the age-old journeys of the Silk Road through its honeyed flowers and spicy, resinous woods. Amouage isn’t the only house to take advantage of during this sale, quite the contrary, it would be prudent to also mention the weird, wonderful and down-right wacky world of Etat Libre d’Orange too. Two key bargains stick out here; the wonderful dance on the forest floor (complete with Mr. Tumnus) that is The Afternoon of a Faun (moss, immortelle skank and beautiful blooming roses) and the unmissable, yet slightly disturbing Archives 69 (fizzy metal and cat fur). Both are worthy additions to any collection and the 20% off really doesn’t hurt either! 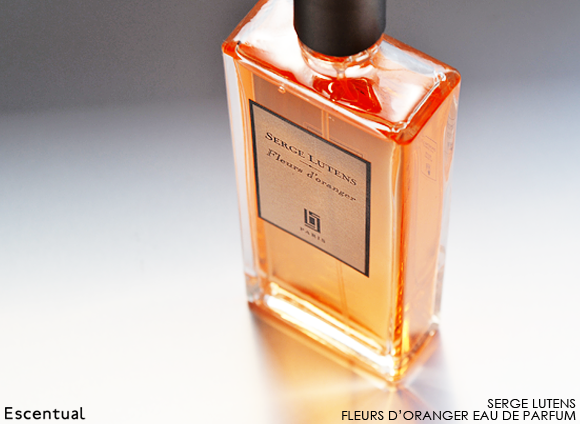 If you’re not looking to splurge on perfume this month and would rather pick something cheeky and fun for summer you can do no wrong with the hot white blooms of Serge Lutens’ Fleurs d’Oranger – a perfume which combines the sunny disposition of orange blossom with a naughty dose of sweaty cumin to create a human presence amongst the flowers. Speaking of orange blossom, you could also opt for the crystal clear Alien Aqua Chic from Thierry Mugler – one of this season’s most lovely summer editions that balances the euphoric jasmine and cashmeran notes of the original with sweet, dewy orange flower water. A truly delicate interpretation of Thierry Mugler’s big and bold Alien. As the heat wave seems to be reaching ridiculous proportions this week and even the lightest of perfumes can seem ‘too much’. One cologne that will keep you feeling refreshed and smelling clean as a whistle is the classic 4711 – many a perfume lovers old faithful. The cooling blend of citrus and herbs is ephemeral but with a 400ml bottle on sale for less than £40 you can ensure that you have enough to revive yourself all throughout the day. What have you picked up in the Escentual 20% Summer Sale? Let me know about your bargains in the box below! That is a really spicy and creamy composition. However, it might be a waste of money, because you get the same scent and intensity from "Ormonde Jayne - Orris Noir" for half the price! This entry was posted on Wednesday, July 17th, 2013 at 11:41 am and is filed under Candy Perfume Boy, Fragrance, Guest bloggers, Hints & Tips, Men, Offers, Special Post. You can follow any responses to this entry through the RSS 2.0 feed. You can skip to the end and leave a response. Pinging is currently not allowed.